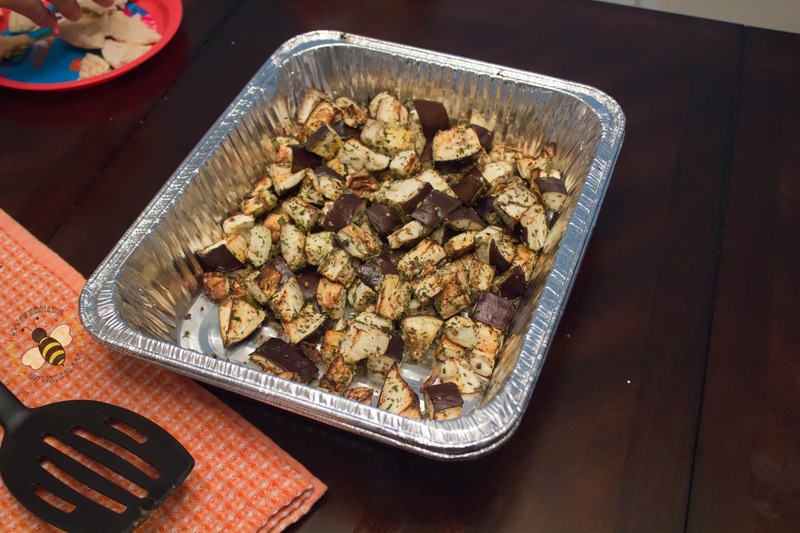 Roasted Eggplant is very versatile. It could be served as a side, with pasta, as a main dish… you name it. We eat ours in pita wraps with chicken, lettuce, hummus, and Tzatziki Sauce. It’s an easy, flavorful dish. Another plus? How easy it is to cook! A few simple steps and you’re done! 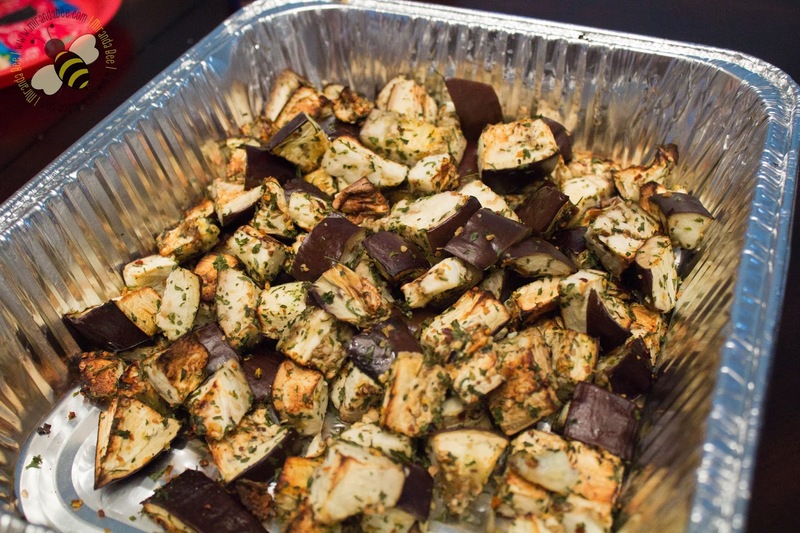 To make it, you’ll need: Eggplant, Crushed Red Pepper, Dried Parsley, Garlic, Salt, and Pepper. 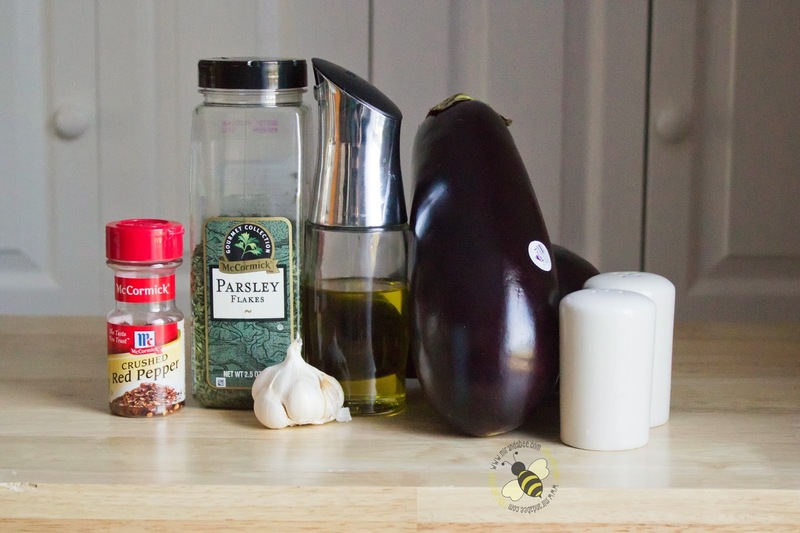 Just a few simple ingredients make a fantastic dish! 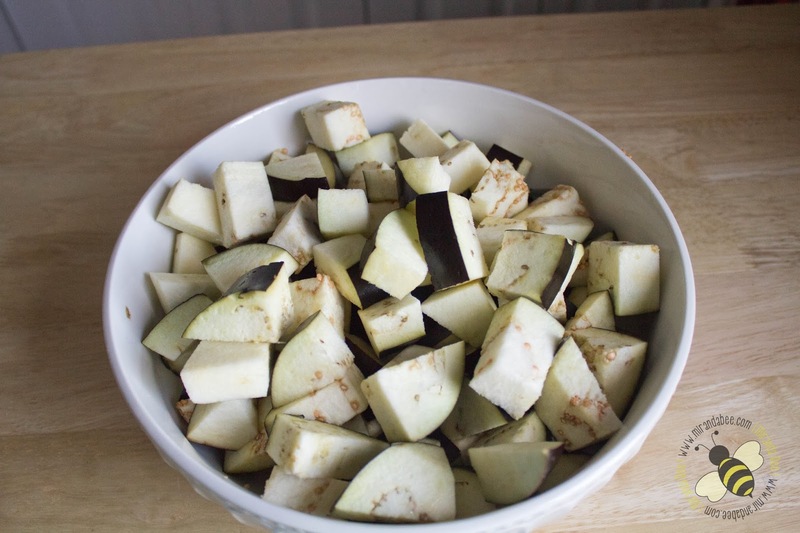 Chop up your eggplant and put it in a bowl. I prefer not to peel mine, but you can if you want. 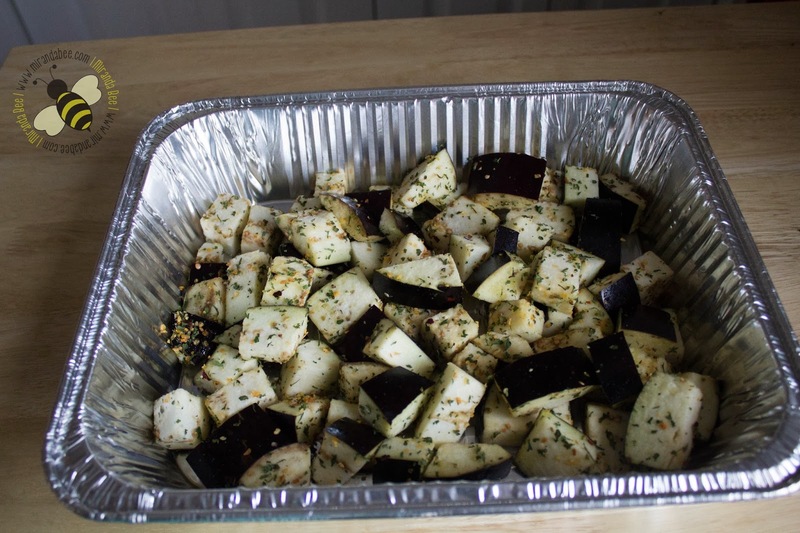 Drizzle the olive oil over the eggplant, add your spices to it and coat thoroughly. Next, you just put it in a pan and put it in the oven at 425° for 20-25 minutes. Flavorful and versatile, this dish can be served as a side, with pasta, as a main dish, inside a pita - you name it. Preheat the oven to 425°F. Dice the eggplant into chunks. 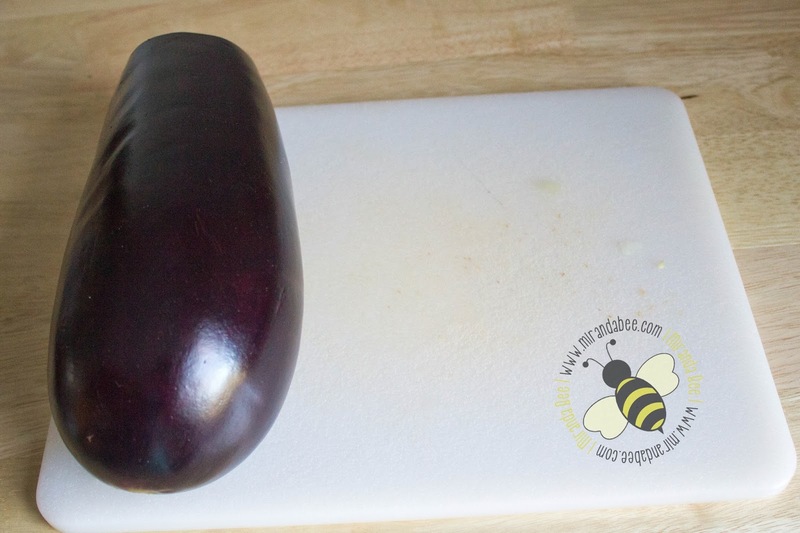 Place the eggplant in a large bowl and toss with olive oil and spices. Serve as you wish -- with pasta, in a pita, on a salad, as the main dish, etc.